It's time to admit we were wrong about Grand Funk. Oh, we were right too, but wrong just the same. Those three or four (I forget, having long since given them away) albums that came before Survival were pretty bad, there's no question of that. But we should have recognized that this band had that special something, that original sound everybody tries for. The thing was, they just hadn't perfected it yet, or learned to employ it to maximum advantage. On Survival they showed just how effective their droning, overamplified bass and monophonic guitar sound could be, by removing all embellishments from "Gimme Shelter" and reducing it to its stark, urgent, basic skeleton. The feeling they give is that it really is "just a shot away" and you better look out, kid. No time for Ry Cooder or Merry Clayton. To pull this off as well as they did required a superb understanding of dynamics -- the way energy builds and affects the audience in a song, and how the interaction of the instruments within the structure of the song accomplishes this. It also calls for a flawless sense of timing. With this new album, Grand Funk shows that they have got both lessons down. Not as well as a group like the Stones, the Yardbirds, the MC5 or many others, but well enough to begin thinking of themselves in terms of such company. Of course, they may not be interested in the rewards of true musicianship, when they've already placed themselves outside and beyond all other groups, in a class all their own, through their public relations campaigns. But it's nice to know their popularity is at least justified, on some level. Like I said, this new album's a killer. If you can get over the resemblance of the cover to Blue Cheer's first LP, Vincibus Eruptum, you'll find inside a collection of music every bit as revolutionary. Starting with "Footstompin' Music," and organ and bass dominated rocker that could be confused with any of the great organ bands from Mitch Ryder's to Alan Price's in a blindfold test, we are carried into "People, Let's Stop the War." This song opens with a few tense moments like those at the beginning of "Gimme Shelter" and moves into a sledgehammer riff highlighted by Farner's driving guitar. They lyrics are not exactly heavy ("if we had a president that did just what he said, the country would be alright." George Wallace?) but the arrangement and solid instrumentation give the song a feeling of resolute conviction that gets the message across perfectly. Many of the other songs are fillers, but all have their interesting points. "I Come Tumblin'" is a good energy workout. It has the token lyrics about "let's teach our children to love each other." but basically it's just a showcase for instrumental prowess. The drums tumble through the cut in fine fashion, there's plenty of high-volume guitar and bass action, speedy-finger runs, etc. In short, just the sort of thing Cream was once noted for. "Save the Land" is solid, but doesn't really take off as a structure or a song. 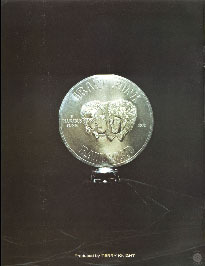 The lyrics, as with every song on this LP, reflect the political platform represented by the coinage of the Grand Funk Nation. "Let's get together and kill this fear," "with just a little more understanding the whole world will get by," "we need each other to live in peace and harmony," "we don't need a leader to tell us what's wrong," "we can't live without controlling our birth," "we must replace what we took out of the ground," "with love there's nothing to fear," and, "inevitably, "let's get together." Those quotes are taken from six songs but they might as well be from one, the message and tone is so close. Save the land, stop the war, get together and love one another as brothers, and then we can stomp our feet and have a good time. Not such a bad program, when you think about it. And presented through such good, powerful music it can hardly do Grand Funk's listeners any harm. It might rankle the MC5's fans to see these guys succeeding with political rock, and the injustice of it bothers me too, but let's be thankful for what we've got. E Pluribus Funk: out of many, Grand Funk. It could've been much worse. - Greg Shaw, Phonograph Record, 1/72. Any concert or album release from Grand Funk Railroad means excitement. E Pluribus Funk is their first release on their own Grand Funk Railroad label and that's special. The initial album in a dime cut round pocket in silver foil is jammed packed of just what the fans of the kings of hard rock expect. The music is at its best. Look for this at the top almost instantly. It's really amazing how Funk keeps coming up with new material since this is their sixth album in about two years. This album shows some fine writing talent and also the quality of the recording is much better than on Survival. On this album it's much easier to distinguish the leads -- they don't just sound like a bunch of noise and distortion. The album's opener, "Footstompin' Music," is just what the title says. It overflows with energy and happiness. "People Let's Stop The War" contains some words of wisdom from Mr. Richard Nixon and "Upsetter" and "I Come Tumblin'" are two very live songs. The orchestral arrangements on the album (done by Tom Baker) add a lot to the album. In some parts the orchestra seems to jump out at you. - Greg Gohde, Hit Parader, 6/72.